Here are excerpts from a new book review and movie review I’ve written recently for Inside Science News Service. I have a few additional thoughts about Sean Carroll’s book, below this excerpt. Quantum physics, cosmology, existentialist philosophy and morality may seem like disparate subjects. 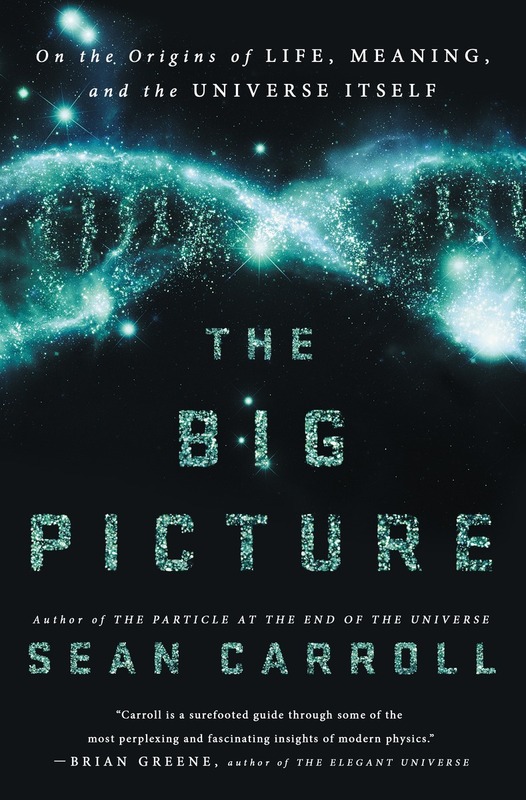 But Sean Carroll, a theoretical physicist at Caltech, ties them all together into a cohesive and comprehensive worldview he calls “poetic naturalism.” He lays out his views while trying to find meaning in a vast and chaotic universe in his newly published book, “The Big Picture” (Dutton, Penguin Random House Inc.). Having written two previous popular physics books as well as being active on Twitter and his blog, Carroll takes an interest in communicating complex scientific discoveries. In his new book, he describes some of the fundamental ideas in modern physics with a philosophical lens, while exploring life’s biggest mysteries: the origin of the universe and the meaning of life itself. At the same time, with references to Wile E. Coyote, Captain Kirk and “Bill and Ted’s Excellent Adventure,” he avoids an overly serious tone. In recent years, prominent scientists like Neil deGrasse Tyson, Bill Nye and Stephen Hawking have downplayed the importance of philosophy or even denigrated it. Carroll is not among this crowd. Though his Ph.D. is in physics, Carroll has a strong interest in philosophy as well, and minored in it in college. He sees philosophy as a method for interpreting science and for a deeper understanding of physical phenomena. He uses philosophical concepts such as causality, determinism and mind-body dualism to explore everything from the tiniest subatomic particles to the accelerating expansion of the universe — as well as the role humans play somewhere in between. …The situation becomes murkier when Carroll discusses quantum mechanics, the interpretation of which has continually generated debates among physicists and philosophers since Max Planck and Albert Einstein discovered light “quanta” in the early 20th century. Physicists interpret quantum systems with probabilities: for example, for a hydrogen atom, the electron doesn’t have a particular position or momentum, but if someone measures them, it has probabilities of being observed in particular states. Carroll supports the controversial “many-worlds interpretation” in which every quantum possibility is literally a separate world (or universe). We happen to live in one of them, and we have no way of seeing or even confirming the existence of the many unobservable parallel universes. This interpretation seems to conflict with his claim of endorsing a “sparse ontology,” which would mean accepting only a few fundamental concepts for describing the natural world. I think Carroll’s book does a great job of tying together so many disparate concepts, and I commend his efforts to communicate philosophical ideas. It’s important to encourage people to think and talk about “what it all means.” However, I think Carroll comes across as a little overconfident sometimes, as if he has all the answers. (But he’s more modest at other times.) Furthermore, he’s clearly more of an expert on the physics than the philosophy. His philosophical views don’t seem very nuanced or even self-consistent, and his book lacked a discussion of some important questions. (Exactly what are “laws” of nature and what do they tell us about how things actually behave? How do we assess the simplicity or predictive or explanatory power of a scientific theory?) He also missed some influential philosophers and physicists who have studied “scientific realism” in the context of cosmology and quantum physics for decades. In 1914, an unknown Indian man boarded a ship and traveled across the world to Cambridge University in England, where he could finally follow his passion for mathematics. In the few short years between his arrival and untimely death, he filled notebooks with formulas and discovered theorems, some of which still influence the work of mathematicians and scientists today. The new biopic, “The Man Who Knew Infinity,” which opens in U.S. theaters beginning Friday, April 29, chronicles the life of Srinivasa Ramanujan. A self-taught Indian mathematician from the city then called Madras (now Chennai), Ramanujan struggled to overcome racism, poverty, and outsider status in imperial Britain during the tumultuous time of World War I. But he eventually won over the mathematical community and was the second Indian to become a Fellow of the Royal Society. 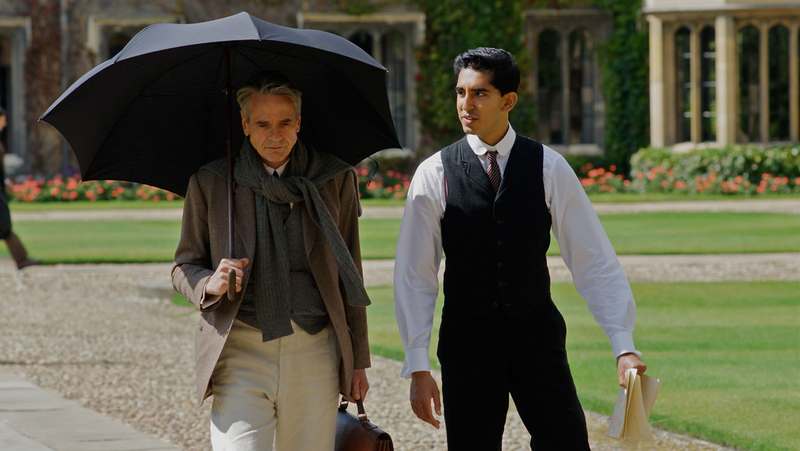 Dev Patel and Jeremy Irons play Ramanujan and Hardy, respectively. The mathematicians had to bridge many cultural divides. A steadfast atheist, Hardy persistently placed an emphasis on reason, logic, and the “pristine proofs of the Western mathematical tradition,” as Robert Kanigel’s 1991 biography puts it. Ramanujan, in contrast, relied on intuition and imagination, turning math into an art with his love of form and elegance. In the movie, he tells Hardy that the Hindu goddess Namagiri writes the formulas on his tongue each night. “Mathematics used to be an individual sport, but Hardy and Ramanujan taught us how much you can accomplish with collaboration,” said Princeton mathematician Manjul Bhargava. He and other mathematicians, actors, and the director spoke at a post-screening event at the San Francisco International Film Festival. Their rare and at times fraught collaboration makes for an entertaining film. This is in spite its sprinkling in bits of math throughout, which some viewers might find daunting. For example, upon hearing about a taxi’s number 1729, Ramanujan pointed out that that it’s the smallest number expressible as the sum of two cubes in two different ways (1 cubed plus 12 cubed and 9 cubed plus 10 cubed).